With more than 60 years of combined experience, our attorneys possess the knowledge and skills necessary to take on any case. Using creative strategies and an aggressive approach, we have secured millions of dollars in awards and settlements for personal injury victims, and we have obtained favorable outcomes for those charged with serious criminal offenses. We are assertive in protecting our clients' right. We treat each client with personalized attention and respect. We consult with our clients to ensure they understand their rights and options so they can maintain a sense of control over their situations. Those facing criminal charges can rely on our law firm as a trusted legal ally. We will scrutinize the prosecution's case and devise an effective defense strategy that fits the situation. Victims of personal injury or the surviving family members of a fatally injured victim can count on us to be their dedicated legal advocate. We will work tirelessly and tenaciously to hold the responsible parties accountable while pursuing the maximum compensation possible. Regardless of your legal situation, you have rights. Do not trust your rights, your recovery or your freedom to just anyone. Having the right attorney on your side can make all the difference. 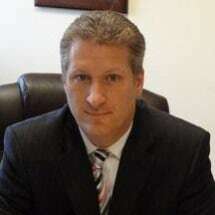 To find out more about how The Matera Law Firm can help you, you can schedule a free initial consultation.